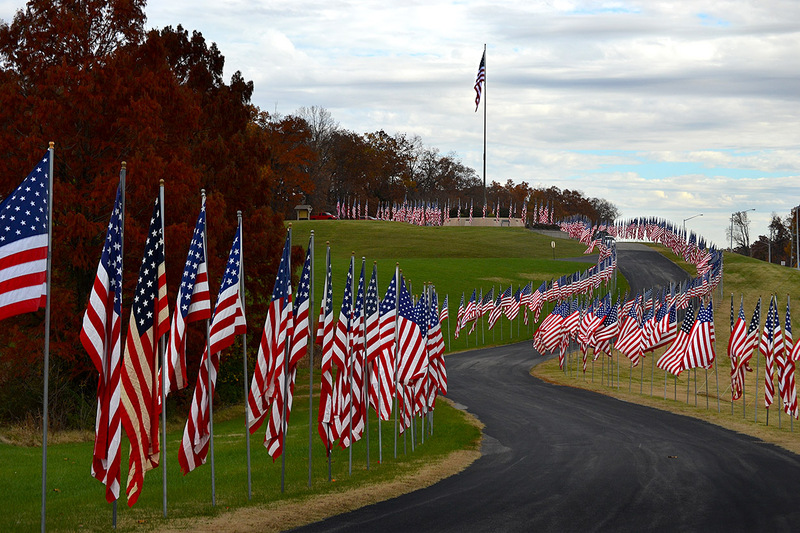 While I was prowling around Bollinger County Memorial Park last week, I noticed flag holders along the driveways. 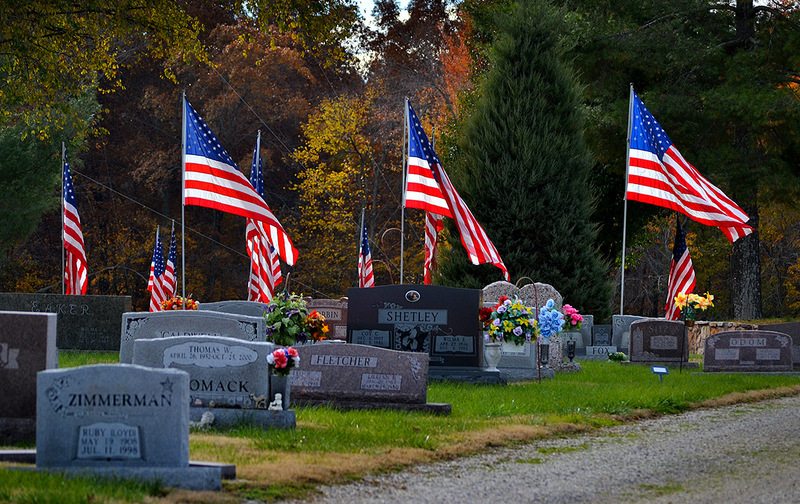 Unlike Cape County’s North Park, these have markers honoring the servicemen and women. I don’t know if the flags match the markers, but I suppose it’s the thought that counts. Anyway, I made a note to take a look back there on Veterans Day. Of course, to get to Marble Hill from Cape, you have to pass North park, so I had to pull in there, too. It wasn’t the greatest day for pictures. Unlike some of the other times I’ve shot the flags, the sky was mostly overcast and the wind wasn’t whipping the flags very much. 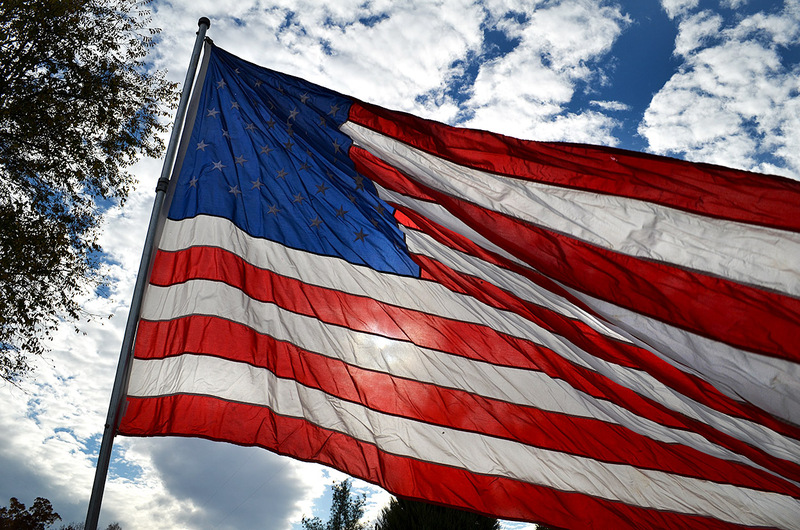 Veterans Day photo gallery from Cape Girardeau and Bollinger counties. 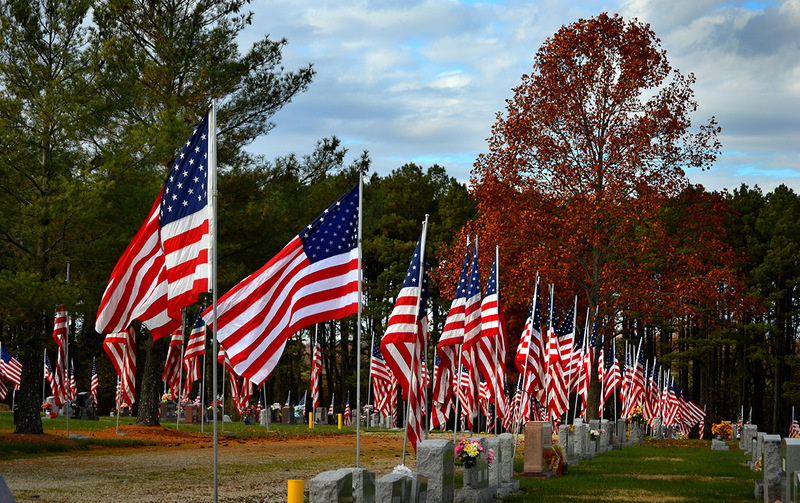 I always love to see the flags flying at Cape County Park. My maternal grandfather, James A. Allen, fought in WW1 and passed away in 1966. The flag from his funeral was presented to the family and was given to an organization, I believe it was the VFW. 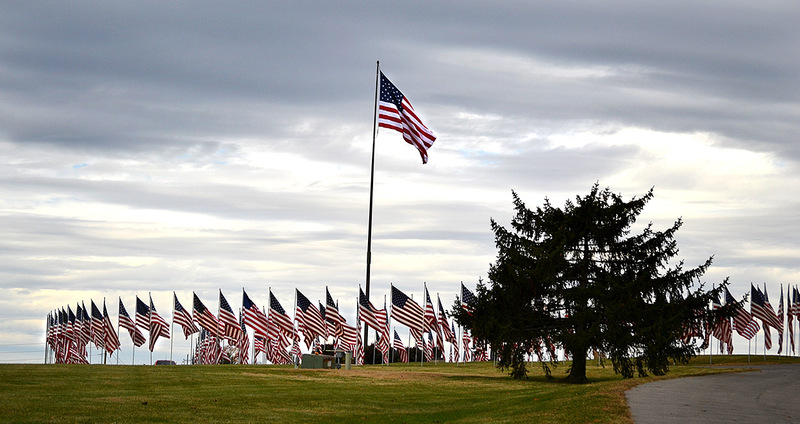 When they first started flying the flags at Cape County Park, I located his flag and a metal marker was attached to the flag pole, with his name and service information. It seems that these have disappeared over the years. Beautiful photos. As an active duty military mom, I thank you. Thank YOU. By the way, you may need to press Ctrl-F5 to update your browser to see new content. I saw you had tried to post your message a couple of times.